WHAT ROLE SHOULD REAL-TIME PRICING play in a deregulated electricity market? Can it serve as an incentive to induce customers to remain loyal to their power supplier? How do customers respond to price changes carried out under RTP tariffs? Real-time pricing programs are now being used as a proxy for market-based pricing. The recently passed deregulation bill in Illinois directs utilities to develop and offer real-time pricing to all customer classes as a proxy for market based pricing. 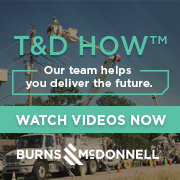 Utilities are offering "virtual" products that operate very much like RTP and are aimed at providing customers access to market priced power, while still retaining the customer. Even the newly instituted locational marginal pricing scheme in the PJM pool represents an application of RTP. So far, however, the typical customer billed under real-time pricing has been a large industrial firm with a monthly individual peak demand of at least 1 megawatt and a 250-kilowatt demand peak coincident with the utility system peak. These customers are large and flexible enough to shift a major amount of usage from peak to off-peak periods when provided with appropriate financial incentives. RTP programs have not yet made it to the small residential customers. According to a newsletter published earlier last year by the Electric Power Research Institute, somewhere between two-thirds to three-quarters of all electric customers respond to real-time pricing by shifting load when RTP is incorporated into utility rate structures.